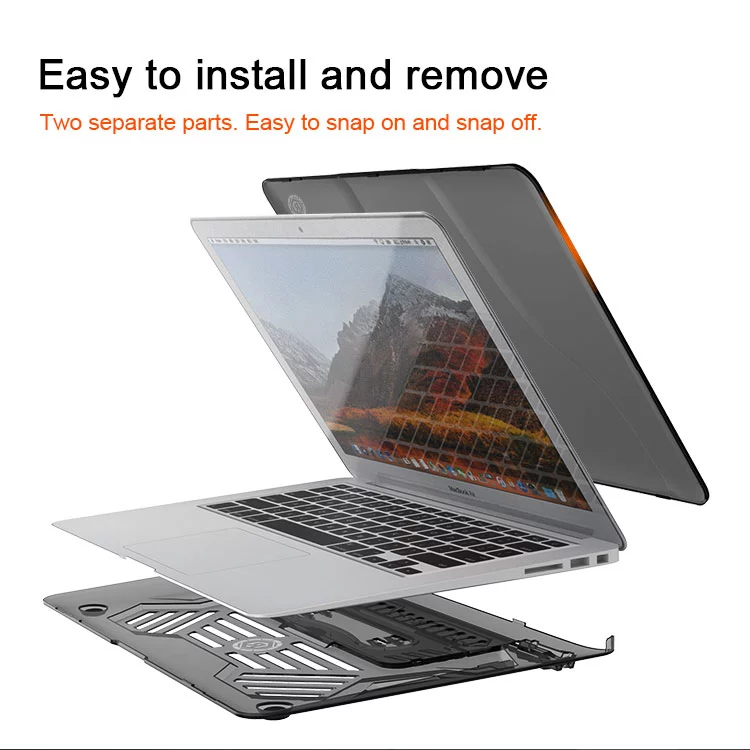 2:Plug your charger, cable or headset without removing the case, this Mac Air 13" case will perfectly fit your macbook and provide a stunning look. 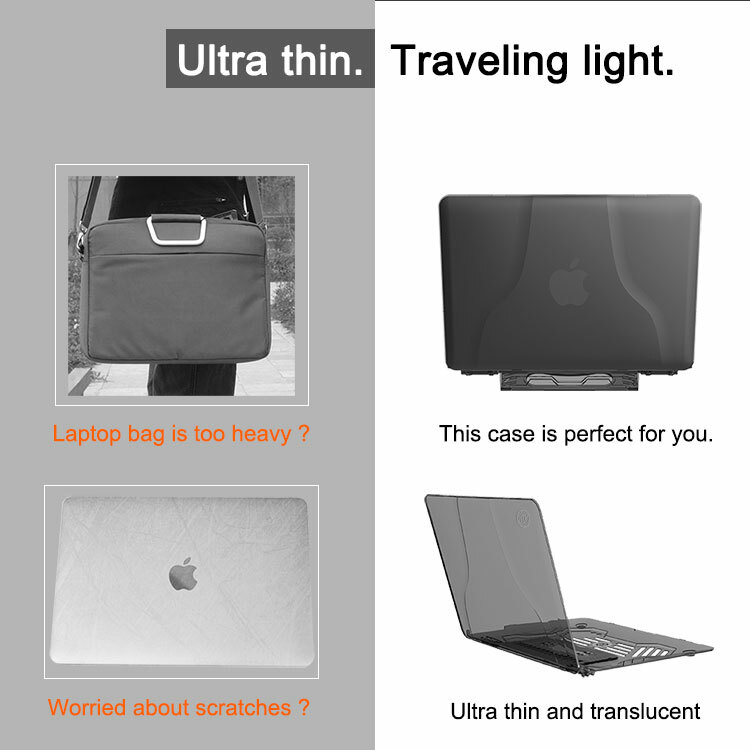 3:The laptop cover is made of hard plastic material, surely high quality, durable and light weight. 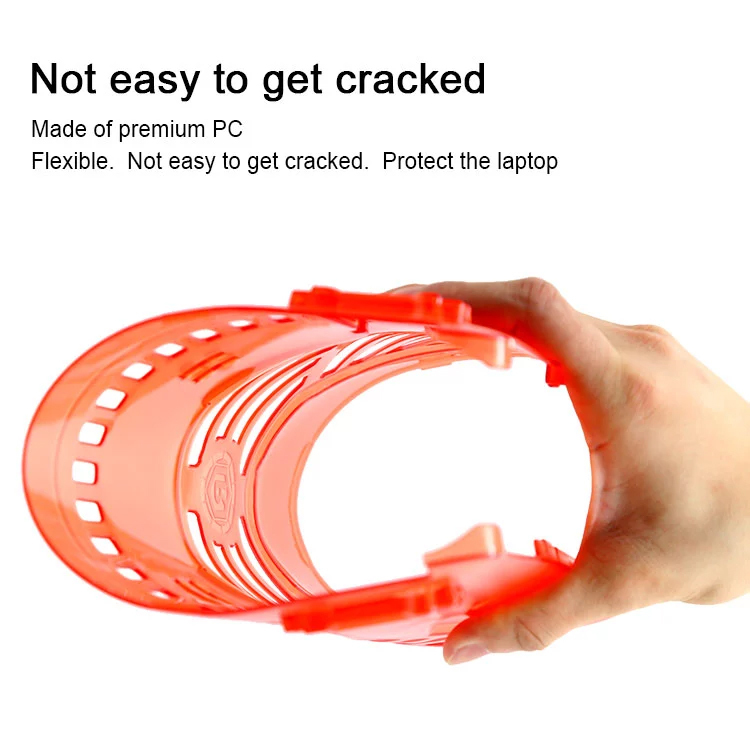 It will protect your laptop Air from scratches and abrasion and is easy to put it on/off. 5:Practical design and exquisite workmanship.Easy to carry by itself or in a bag. Convenient for school, travel or business trip. 6:Available in a variety of bright, fun colors to suit your favors.